We empower hospitals to reduce the amount, toxicity, and impact of waste they produce. 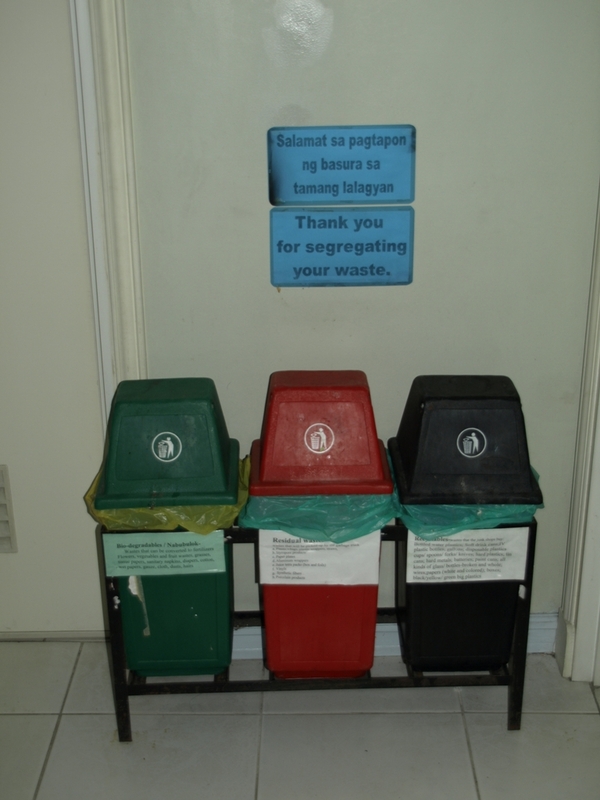 Our efforts include promoting proper waste management such as minimization, segregation, and proper treatment. As much as 80% of the waste produced by health care facilities isn’t outright hazardous. As long as the waste isn’t mixed with dangerous or contaminated waste, much of it can be reused. And recycling plastics, papers, and bottles can even produce income. You need to smoothen the process by implementing a rigorous segregation program. Sorting health care waste after it’s been mixed is extremely hazardous. HCWH-Asia has been collaborating with hospitals within Asia, and found it was possible to reuse or recycle items such as old office supplies and tin cans. Food waste was either composted for use in the hospital grounds, or sold for animal feed. These hospitals formed a dedicated Health Care Waste Management Committee responsible for developing a waste management plan for the institution. The plans included setting policies and guidelines for waste management, training, education, and monitoring. The committee schedules regular meetings to assess problems related to processes, and to find new ways to safely recycle and reuse products. Some hospitals found ways to utilize the money earned from their new recycling venture. In some cases, the hospitals even earned enough to pay the salary of its waste manager, making the whole system self-sustaining. Another way for hospitals to reduce waste is to prevent unnecessary injections. Many patients have an unfounded belief that intravenous drugs are more effective than those administered orally. This is false, of course, and oral drugs should be given as often as necessary, especially since used syringes may spread HIV and hepatitis. The procurement department can look into the amount of toxic waste a product produces before making that purchase. Take, for example, products containing PVC, mercury, silver, BPA, or other toxic materials. Stuff like this should be avoided whenever possible. Reusable items should also be given priority over disposables. Dining utensils and some medical tools can be sterilized and safely reused. The amount of packaging used should also be considered. If two products have the same level of quality, pick the one with less packaging, or at least one that’s easy to recycle. Hospitals can find that sweet balance between paying for the processing of waste, and generating income through recycling. We’re calling on health care facilities to develop procurement policies that keep waste minimization in mind. Low-toxicity, low-waste products should also be tested to determine their reliability. The input of a waste management committee should be considered when amending any purchasing policies.